As consumers, we like to obsess over the "most popular" works of art. The box office results for Avatar are perhaps the most recent example of this - any discussion of the movie itself has long since given way to the question of whether or not it will gross more than Titanic. The mere fact that it's making lots of money is interesting enough to qualify as news. Runaway popularity and critical acclaim rarely align, especially in the music industry. But bestselling albums are usually remembered as phenomena in and of themselves, regardless of quality, and usually last longer in our memory than the critics' pick of the week. Look at all the ado surrounding Thriller that followed Michael Jackson's death. That Thriller is a good album is besides the point - the important thing our culture remembered is that it was the highest-selling album ever. Even if the album was a piece of trash, it would have made its mark through sheer numbers. So it surprised me when I learned that the Dire Strait's album Brothers in Arms was a big seller. A huge seller. The UK's third best-selling album of all-time kind of huge, outpacing Pink Floyd, Michael Jackson, and The Spice Girls. You don't hear much about the Dire Straits these days, but apparently in their prime they were unstoppable. Brothers in Arms has sold as many copies worldwide as Abbey Road and The Wall. This strikes me as a "one of these things is not like the other" game: The Beatles and Pink Floyd remain staples of rock music, whereas the Dire Straits are largely forgotten, to the point that I don't believe they were even mentioned on any of the iterations of I Love the 80s. But is it fair to call the Dire Straits underrated? On one hand, assigning them that title seems absurd - Brothers in Arms alone sold over 30 million copies. But now, 25 years later, the phenomenon has faded out of our collective memories, to point that I was completely surprised to discover they used to be so popular. I'm not sure if the Dire Straits deserve to be the third best selling artist in Britain, but neither should they be wholly forgotten. 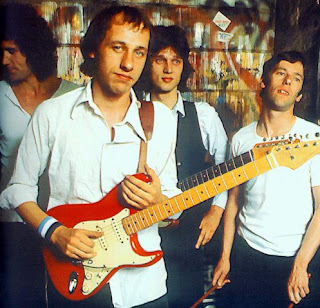 WHAT I KNEW BEFORE: I've heard "Sultans of Swing" many times in my life, but I never actually knew the name of the "Dire Straits" until some time earlier this year. MY LISTENING: I listened to their first album, Dire Straits (1978) every day this week. I also listened to Making Movies (1980) and Brothers in Arms (1985) three times, and currently I am listening to Love Over Gold (1982) as I write this. The Dire Straits are certainly not for those music fans searching for a short, fast-paced rock song. Rather, each of their tracks slowly unfolds, gradually developing hooks and themes, as Mark Knopfler piles on enough half-spoken lyrics to qualify it as a short story. Songs like "Sultans of Swing", describing a amateur musical ensemble playing for a half-empty bar, and "The Man's Too Strong", recounting the sins and regrets of a soldier, manage to set an effective mood both by utilizing these wordy, protracted lyrics, and by providing a slow musical escalation. Many Dire Straits songs have something akin to a narrative arc, with the band refusing to give the listener everything all at once. The hooks and power chords are still there, but not without a bit of build-up first. This sort of structure requires a bit of an attention span, but the payoff can be very rewarding. Also, Mark Knopfler can also play one hell of a guitar. And he manages to do this without being showy or flamboyant - rather, most of his songs have a laid-back, leisurely vibe. Listen to the solo at the end of "Sultans of Swing". If you're not paying attention, it doesn't sound like much, but a close listen reveals a true virtuoso, whose skills still don't overpower the "late night local pub" mood the song paints for the listener. In other songs, like "Tunnel of Love" or "Solid Rock", Knopfler's guitar functions as a melodic voice in its own right, whereas in tracks like "Ride Across the River" or "Six Blade Knife", the guitar is almost hidden, popping up for a few notes in between the pulse of the rhythm section. In short, Knopfler's guitar parts always interesting and never overpowering, which is a fairly difficult thing to do. Despite its best-selling status, Brothers in Arms is probably my least favorite of all the Dire Straits albums I listened to this week. Its hit song, "Money for Nothing" is too long and too repetitive, and the popular "Walk of Life" is unbearably corny after a few listens. There's a few good tracks at the end of the first side, but the second half of the album focuses on Central American guerilla warriors (or something like that), and tries too hard to be global. The Dire Straits attempt to make the bridge to "world music", but songs like "Ride Across the River", "One World", or even "Brothers in Arms" sound more like the easy-listening kitsch you'd get in an elevator or a waiting room, rather than any sort of Latin American folk song. I'd much rather stick with the bluesier efforts of their early albums. WHAT I LEARNED: I learned that just because a band is popular doesn't mean anyone is going to remember them twenty years down the road. And the Dire Straits were more than just popular - they were also historically important. Brothers in Arms was one of the first CDs to feature more material than the LP version, and thus was a big boost for sales of that format. It ended up being the first CD to sell over a million copies. I suppose the group is content with their bajillion-times-platinum selling album and the loads of money that come with that sort of hit. I'm not sure why I'm so concerned about their lack of popularity today, but it just seems strange to me that a band so big can all but disappear in a relatively short period of time. FUN FACT OF THE WEEK: Sting received half the song-writing credit for "Money for Nothing", because the line "I want my MTV" is the same melody from "Don't Stand So Close to Me". Sting was embarrassed that this became a legal issue at all, but his publishing company insisted that they collect their fair share of the royalties. FURTHER EXPLORATION WOULD ENTAIL: I still have some of the Dire Strait's lesser albums to explore, like Communiqué (1979) and On Every Street (1991). Other than that, Mark Knopfler has a few solo albums that are probably worth checking out, and also has participated in a country music band known as the "Notting Hillbillies". Country music and Knopfler's guitar? Sign me up. BEST SONG YOU'VE HEARD: "Sultans of Swing"
BEST SONG YOU HAVEN'T HEARD: "Expresso Love"